During the months of August and October, the Campus Recreation Center (CRC) failed audits conducted by Tech-contracted company Ellis and Associates. According to the records of the audits obtained by the Technique, multiple lifeguards working at various areas in the Aquatics Center did not meet evaluation standards during the audits. This included Individual Lifeguard Evaluation Reports in which an auditor secretly observes an on duty lifeguard to see if he or she is properly monitoring the pool and the Vigilance Awareness Training (VAT) Drill in which a dummy is placed in the pool to measure lifeguards’ reaction times to a drowning victim. One common problem in many of the Evaluation Reports was lifeguards failing to observe the entire “zone of protection,” the area for which the lifeguard is responsible. One issue with failing audits is that the CRC pays for each one and failing one audit means that the next audit will occur sooner than if they had passed. Each audit costs the CRC somewhere around $1000. Despite the results of these audits, the Aquatics Center maintains that results are not a cause for concern. Williams also argued that the auditing is not necessarily an end-all, be-all measurement. Despite this, after they failed the last audit this month, an e-mail was sent to all aquatics employees outlining changes that needed to implemented. Among these changes were increasing the number of visual adults by the Shift Supervisors and Head Guards, updating the Zone Validation for each pool and requiring that all lifeguard stands be standing or roaming stations only. The e-mail also set as a goal that within 60 days, lifeguards pass 95 percent of the internal visual audits. Some lifeguards pointed to the experience of lifeguards as a potential issue. Others felt that the training has been adequate. All of the 159 new lifeguards this semester took part in a twenty-four hour training course in order to prepare them for the job, according to Williams. Also according to Williams, the state of Georgia does not mandate this. One of the reasons given to the relatively low time spent on initial training was explained by Williams as being a necessity to attract employees. After the initial training, two in-service instruction sessions are required. A number of optional courses to specialize in certain areas exist and are available for all Aquatics Center employees. 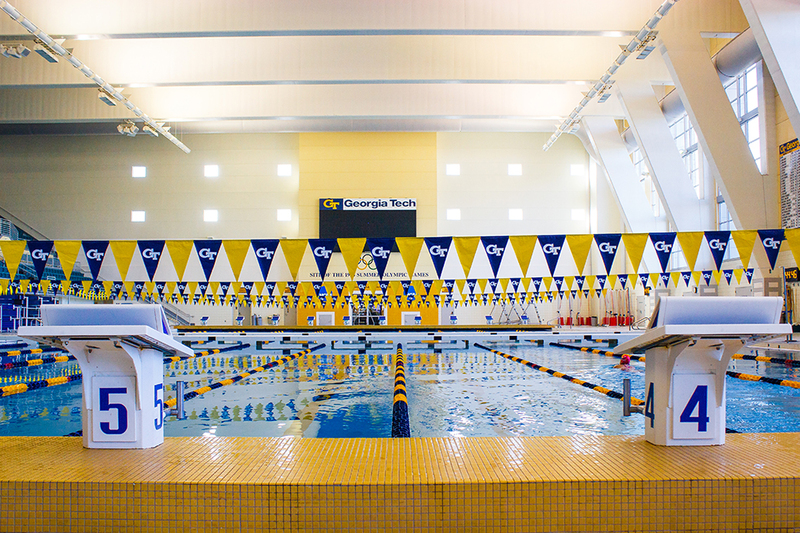 An examination of the Aquatics Center budgeting approved by SGA for the next calendar year, which is 2015, was also conducted, revealing that salaries for all lifeguard positions are being increased. “That was something that SGA came to us with, it wasn’t requested,” Williams said. Also worth noting is the “skill checks & tests” category for the Aquatics Center budget increased from 2014 by roughly $4,000. Approximately $1 million of annual student fees goes to CRC employee pay including that of lifeguards and managers.